A toast to the piper, and to the land of the Scots! 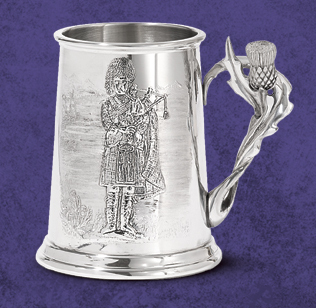 Embossed piper playing in the highland hills enlivens this pewter tankard; a thistle twines up the handle. 5" high, holds 20 oz. Made in UK.